Start to Enjoy warm welcome in Egypt with round-the-clock pick-up’s according to your flight arrival time. When Your Egypttravelcc Tour guide will be waiting you at Cairo airport. They will be holding a sign of Egypttravelcc , You do not need to look for them – they will be waiting for you and will find you. 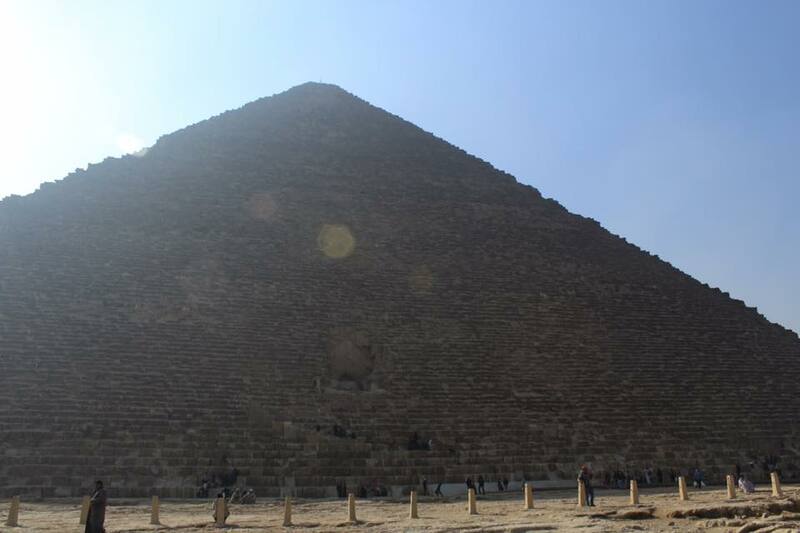 Start your tour to the Great Pyramids of Cheops, Chephren, Mykerinus, the Great Sphinx, the Valley Temple of the pyramids & many outstanding photo stops. Move to visit the Egyptian Museum which has 250,000 artifacts and the treasure of Tutankhamun which consists of gold and jewelry enclosed in his tomb for over 3,500 years before it was discovered in 1920 when his tomb was excavated, After finishing the tour you will be transferred to Cairo Airport at least 2 hours before your international flight time. Cairo has so much to see, feel, eat and buy but we understand that you have limited time as transit traveler so if you have time and you want to add more sites or you have little time so you want to skip some sites or visit only the pyramids for example just let us know what you are interested in and we will arrange it for you. Entry visa to Egypt; We can provide you with your visa upon arrival at your request.